The machine learning software of Google namely TensorFlow is a powerful open-source software framework that around the globe is used to power Artificial Intelligence projects. The Open Source software is used for machine learning and the creation of neural networks. As a result, these make it possible for computers to perform complex tasks that are increasing with time, such as image recognition and text analysis in hand. When TensorFlow first made its launch in the year 2015, the team mainly wanted it to be an “Open source machine learning framework that is not just meant specific audience but for anyone and everyone”. And in order to do the same, it was required that it run on as many of the platforms as possible that people are today using. They have for long supported iOS, Linux, Windows, MacOS, and Android, but despite the great efforts of many contributors, making TensorFlow run on a Raspberry Pi turned out to be a lot of work. Finally thanking the collaboration with the Raspberry Pi Foundation, they now happily say that by making the use of the Python’s pip package system, the latest 1.9 release of TensorFlow can be installed from pre-built binaries! 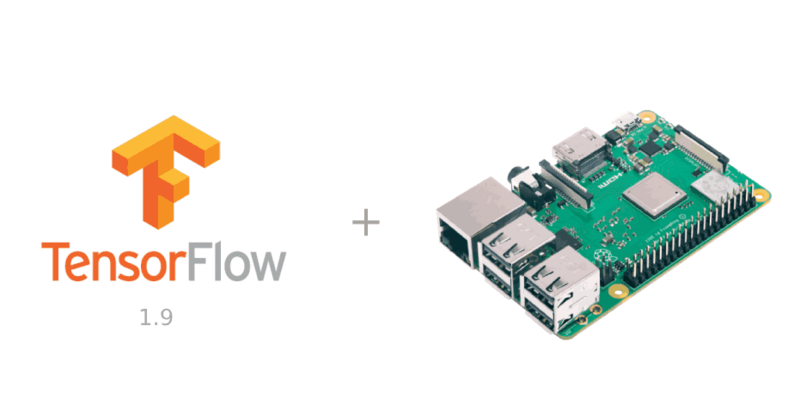 So, now the Machine-Learning software of Google that we know as TensorFlow, a fast, flexible, as well as scalable open-source machine learning library meant for research and production is officially supported by the Raspberry Pi! "We're especially excited about this new turnout because the Raspberry Pi is used by many innovative developers, and is also widely used in the field of education in order to introduce people to programming, so making TensorFlow easier to install will help to open up machine learning to new audiences that are interested in the same," as explained by Warden. Various platforms like DonkeyCar that make the use of TensorFlow and the Raspberry Pi in order to create self-driving toy cars have already been seen in the picture, and now with this, the team can't wait any further to discover what new projects will be built now that the difficulty has been greatly reduced! Adding to it even further, Eben Upton, The Founder of the Raspberry Pi project, put forward his statement on the launch that represents how vital it is in the present day that a modern computing education covers both fundamentals as well as forward-looking topics. Hence, not confined to an area. Keeping this point in mind, the team is very excited to be working with Google in order to bring the TensorFlow Machine Learning to the Raspberry Pi platform and is also looking forward to seeing what fun applications kids of all ages can create with it! After which the user can then run python3 in a terminal, and then make the use of TensorFlow just as you would on any other platform. Both the companies are hoping that their collaboration in result will see a lot more educational material and tutorials emerge that will help more people in the field. Hence the user can now explore the possibilities of machine learning on such a cost-effective and flexible device!